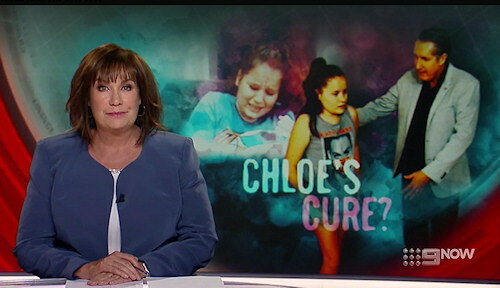 Chloe Davenport of Sydney has been diagnosed with Chronic Regional Pain Syndrome (CRPS). For more than nine months the 14-year-old suffered such excruciating pain that a feather touching her arm felt like a red hot knife stabbing her. Doctors describe the pain of CRPS has worse than childbirth. After a hypnosis session with Mark, Chloe’s pain completely disappeared.